In a win for renters who have been wronged by their landlords, a Norfolk property owner was recently sentenced in a landmark case. The landlord in question plead guilty to breaching Section 21 of the Health & Safety Work etc. Act 1974 and breaching Regulation 36(2) and Regulation 36(3) of the Gas Safety (Installation and Use) Regulations 1998 and was sentenced this past month. Let’s take a closer look at what happened and what caused this landlord to plead guilty in this case. In 2017, inspectors from the Health and Safety Executive (HSE) and Gas Safe Register inspected the property at Kings Lynn in Norfolk. They found that a gas oven was not compliant with safety regulations and was considered ‘at risk’. Inspectors also found the property’s gas central heating boiler unsafe for residential use. It seems that the owner did not have the gas appliances regularly inspected or maintained, nor did he provide a Landlord’s Gas Safety Certificate to his tenants. In addition, on 13 July 2017, the property owner failed to comply with an Improvement Notice for these same issues. Before the Norwich Magistrates’ Court, Mr. Ladell of Great Harwood, Blackburn, plead guilty to the subsequent charges. His sentence, which many feel was not harsh enough, included a 20-week custodial sentence and a two year suspension. Mr. Ladell was also ordered to carry out 100 hours of unpaid community work and he has to pay full costs of nearly £4150. Was this sentence fair? Or was it too lenient considering the danger he placed his tenants in? 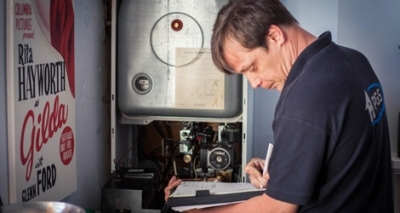 Industry expert and HSE inspector, Paul Unwin, was quoted as saying, “Landlords must ensure that any gas appliances installed at their tenanted properties are thoroughly inspected by a Gas Safe Register engineer at least every 12 months, and that should be properly maintained in a safe condition. In addition, he went on to state “The HSE will not hesitate to take appropriate enforcement action against those that fall below the required standards” A very strong statement and a message to all property owners who might consider ignoring these important safety practices. What could this landlord had done differently? He could have contacted a plumbing, heating and gas professional to inspect and maintain the gas appliances at his property and ensured that his tenants were safe from harm.